Home / Subsidia Hagiographica / La Vie de S. Porphyre de Gaza par Marc le Diacre (BHG 1570). La conversion de Gaza au christianisme. 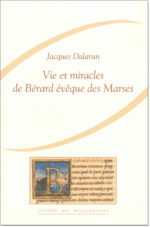 La Vie de S. Porphyre de Gaza par Marc le Diacre (BHG 1570). 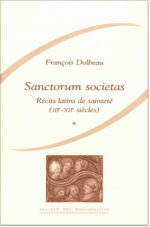 Edition critique — Traduction — Commentaire (= Subsidia hagiographica, 95). 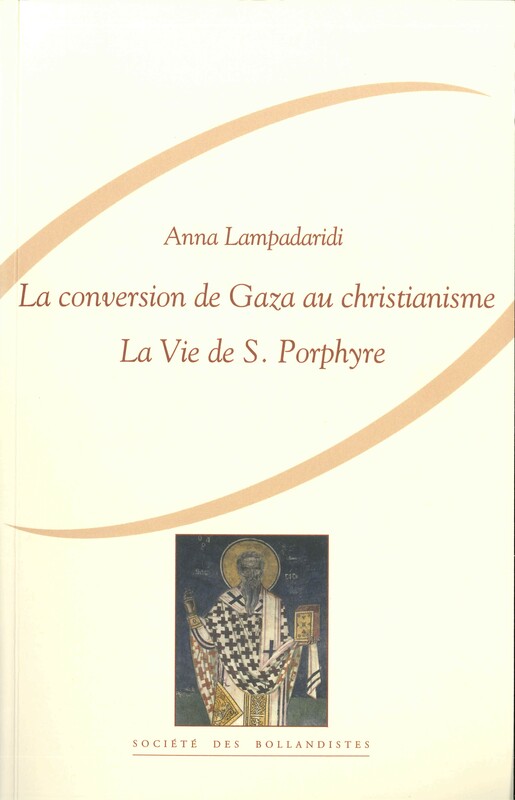 The present work proposes to revisit a text often quoted as a key witness to the spread of Christianity in Late Antiquity: the Life of Porphyry of Gaza by Mark the Deacon (VSP). This equivocal document, composed in the literary form of a saint’s Life, tells how at the beginning of the fifth century the city of Gaza in Palestine erased its pagan past under the influence of a Christian bishop, Porphyry. The main part of the story is dedicated to the destruction of the Gaza city temple, replaced by a Christian church. However, since several centuries, scholars have been overly diligent with their criticism regarding the role of fiction and that of history in the VSP, putting in doubt several of its assertions. 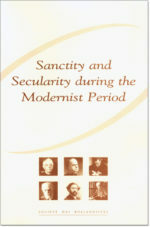 The present volume comprises a critical edition and a French translation, brought up to current standards, as well as a commentary that aims at surpassing the level of previous scholarship, notably the contribution of Henri Grégoire (1930), which for a long time seemed to have closed the dossier. 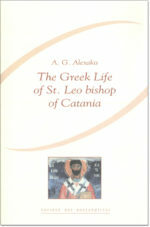 The author looks at the purpose of the Life of Porphyry and interprets it as the story of the Christianisation of a pagan city in Late Antiquity, through the metamorphosis of its main cult place. 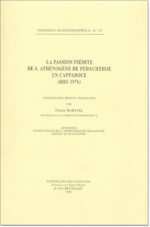 Passion inédite de S. Athénogène de Pédachthoé (BHG 197b). 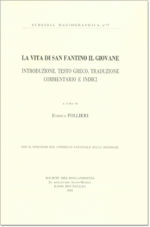 La Vita di S. Fantino il Giovane (BHG 2366z) (Editio princeps).